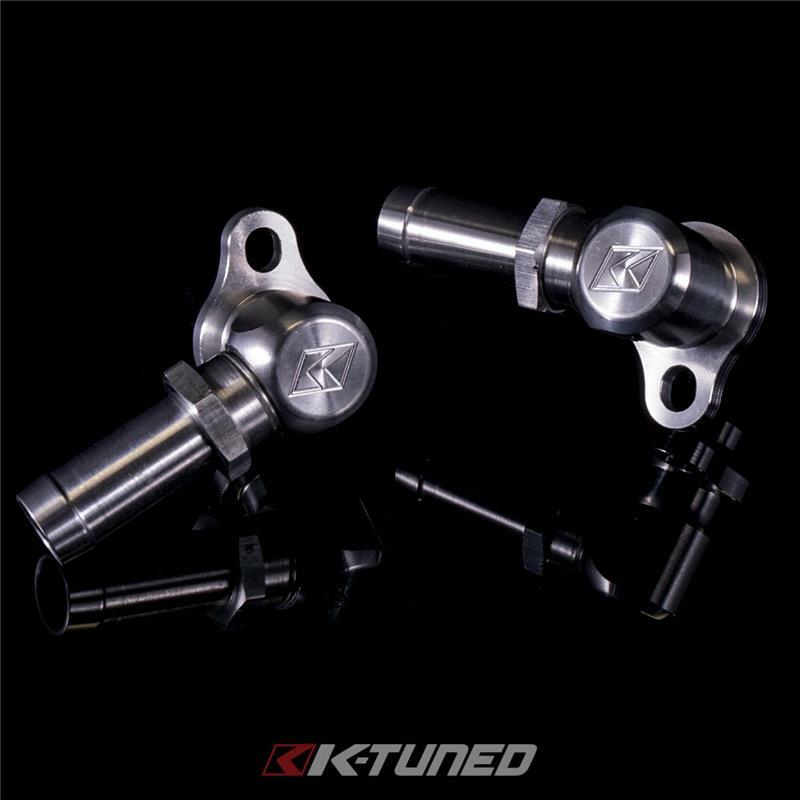 The oil cooler fittings are direct replacement for k-series cars with oil coolers mounted on the back of the head, below the vtec solenoid. The kits come with two fittings, one for on the water pump and the other on the block. Pair these with the K-Tuned silicone hoses for best fit and look. The fittings can be used as a simple way to clean up the engine bay or provide an easy access to coolant for turbo cars.